The Fabric of Protest is a monthly textile workshop at PHM, where participants take inspiration from the museum’s collection to produce pieces of artwork rich in personal responses. Collectively and individually participants have been exploring ideas of representation, current political concerns, visibility, vulnerabilities and personal experiences of oppression. Using art and craft processes to give voice to these ideas, this exhibition showcases a range of work from garments to woven pieces, alongside printed, crocheted and embroidered textiles. During 2018, 100 years since the passing of the Representation of the People Act (1918), The Fabric of Protest group will explore the museum’s 2018 theme of representation, particularly underrepresentation, from past to present. 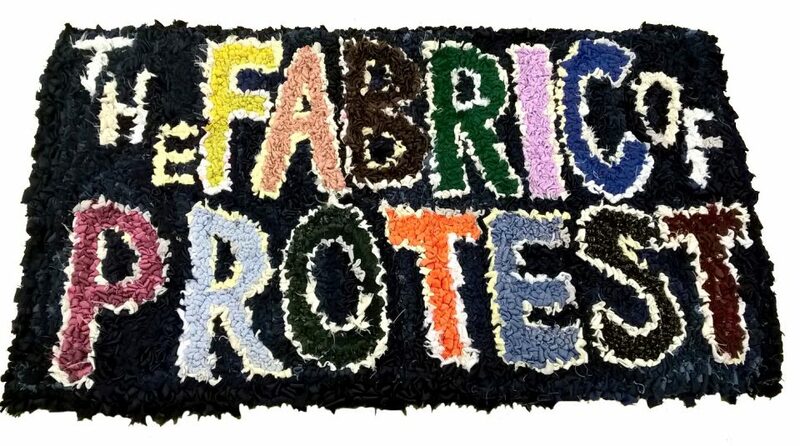 Join monthly Fabric of Protest workshops to shape how future work develops. * Please telephone the People’s History Museum on 0161 838 9190 before your visit as the exhibition will occasionally not be accessible due to other events taking place at the museum.